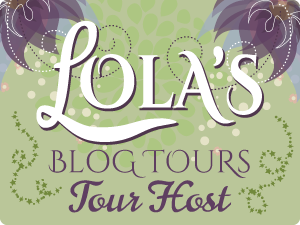 Fabulous and Brunette: Calamity at the Continental Club by Colleen J. Shogan - Book Tour - Review - Giveaway - Enter Daily! 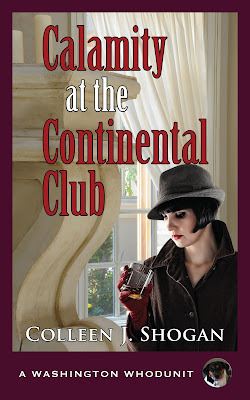 Calamity at the Continental Club by Colleen J. Shogan - Book Tour - Review - Giveaway - Enter Daily! Hello lovelies! It gives me great pleasure today to host Colleen J. Shogan and her new book, “Calamity at the Continental Club”! For other stops on her Goddess Fish Promotions Book Tour, please click on the banner above or any of the images in this post. Be sure to make it to the end of this post to enter to win a $50 Amazon or Barnes and Noble Gift Card!! Also, come back daily to interact with Colleen and to increase your chances of winning! During the annual meeting of the Mayflower Society at Washington, D.C.’s Continental Club, Kit Marshall is pressed by her future mother-in-law to set a wedding date and choose a venue. A reprieve comes when the head of the society, a multimedia tycoon, is murdered. The prime suspect is Kit’s finance’s father. With the Hollingsworths’ reputations and freedom at stake, Kit sets out to find the real killer. My Fitbit buzzed, its annoying way of reminding me it was time to get moving. Somehow Gertrude Harper had managed to remain slim without jogging around Dupont Circle. I wasn’t so fortunate. I turned away from her portrait to head back toward the main staircase. In the far corner of the room near the entrance to the club’s library, I spotted a man’s dress shoe. How odd. The Continental Club wasn’t the type of place where patrons had one too many glasses of wine and lost their footwear en route to bed. That went double for the Mayflower Society crowd who occupied the vast majority of suites inside the building. Curiosity got the better of me. The library entrance was adjacent to another Continental Club treasure I’d wanted to check out, the bronze bust of Benjamin Franklin. During the Second World War, when the club met inside Dolley Madison’s former house, the Franklin statue adorned the room where key discussions about nuclear fission and the atomic bomb took place. Now it resided on a perfectly engineered pedestal in front of a prominent arched window, inviting photographers strolling along the nearby street to take advantage of the striking profile it provided when the light was just right. I didn’t get much of a chance to admire Franklin or read the detailed inscription at the base of the statue. A guest who’d unwisely overindulged hadn’t abandoned his shoe the night before. Instead, the shoe belonged to a man whose body lay flat on the floor of the library. Murder has found Kit once again! This time the case is striking close to home as the prime suspect is her future father-in-law! With her fiancé, Doug, her friends Meg and Trevor, and her dog Clarence in tow – Kit is out to solve another murder mystery and clear her soon be father-in-law’s name! This book was such a fun, exciting, and intriguing whodunit mystery book! I thoroughly enjoyed reading this book and solving the case alongside Kit! This book has such wonderful characters! They are well-developed, likable, and genuine. They have great personalities that intertwine and play well off each other! This book has excellent mystery crime solving structure with enough clues and excitement to keep you interested and guessing, but still practical and realistic in police procedures. This book was fast paced and keeps you engaged and entertained through the last page! I love visiting Washington D.C., so I really enjoyed reading a book set there. It was easy to picture many of the locations having been there before, like the Smithsonian Museum and the National Archives Museum, along with others that I haven’t, as they were vividly described. I love a great mystery book and this book totally fits the bill! This book is book three in the Washington Whodunit Book Series. Although, this book is part of a book series, it can absolutely be read on its own as a standalone. All in all, I really enjoyed reading this book and it kept me completely entertained! I would absolutely recommend this book to fellow mystery book fans! This book and series is definitely one you don’t want to miss out on! I will definitely be checking out Colleen’s other two books in this series and look forward to read about Kit’s next big adventure! 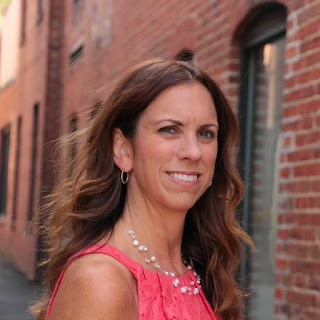 Colleen J. Shogan has been reading mysteries since the age of six. She writes the Washington Whodunit series published by Camel Press. A political scientist by training, Colleen has taught American politics at Yale, George Mason University, Georgetown, and Penn. She previously worked on Capitol Hill as a legislative staffer in the United States Senate. She is currently a senior executive at the Library of Congress and works on great programs such as the National Book Festival. Colleen lives in Arlington, Virginia with her husband Rob and their beagle mutt Conan. Colleen will be awarding a $50 Amazon or Barnes and Noble Gift Card to a randomly drawn winner via Rafflecopter during the tour. Thanks for hosting my tour and the great review!! Congrats on the tour and thanks for the chance to win! I have enjoyed the tour. Sounds like a great read. You have great reviews. I will be checking it out soon. Thanks! Oh I love a good mystery, sounds like a good book! I was really enjoying following this tour, thank you for all the great blog posts and excerpts! Has the author already figured out what's next in terms of another book?